What a Wimbledon this was! 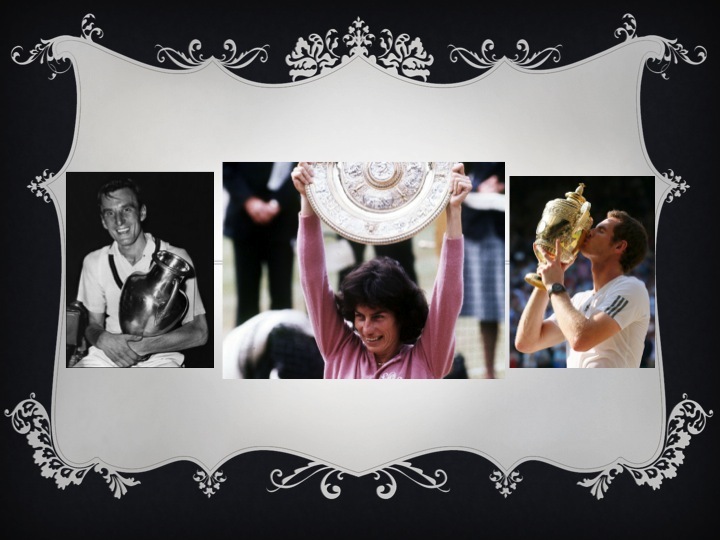 From slides (all around the court) to falls (of top seeds), to a dream win for a relative unknown Frenchwoman followed by the win Britain was waiting for – it took 77 years for a male to win it; was the first one after 1977 (Virginia Wade – the media certainly took a beating on this one, didn’t it? – and this despite the felicitation to Ms. Wade during the championships!)) and was won on 7/7…wow, the power of 7! Maybe Murray will win it 7 times! This number/ data crunching reminded me of the ad that I saw on ESPN while the match was being aired – it was one of the series of ads that IBM released for its “smarter planet” positioning….by the way, I like that positioning – and I do think that IBM is doing many things right to work towards fulfilling that promise. But I was really confused about why there was a Big Data campaign airing on TV! Who buys Intel? Businesses – so CEO/ CTO/ CDO and of late, ever since their CMO focus, the CMO. (See this interesting article about IBM’s focus on the CMO). These are ALL C suite execs in enterprises! Intel is the quintessential B2B marketing firm! On top of which it has traditionally focussed large enterprises though it did start a mid market push a while ago (just to check – a google search for IBM enterprise vs SMB shows a ration of 153 million to 4 million!). 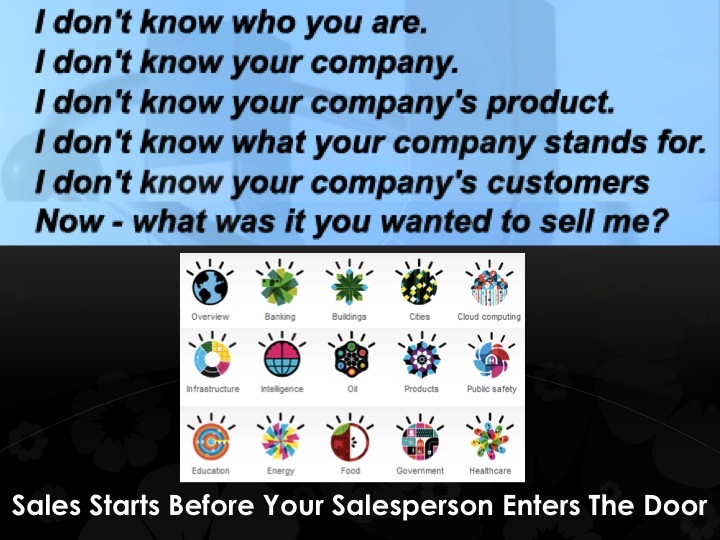 So, what is the typical purchase process for IBM like engagements? Long drawn out pitches/ the typical commercial engagement cycle…resulting generally in bids against 2 others (Accenture and/or Oracle may very likely be atleast one of the others – interestingly, I found in my inbox today an email from Accenture talking about the looming shortage of analytics talent – talk about topicality! ). 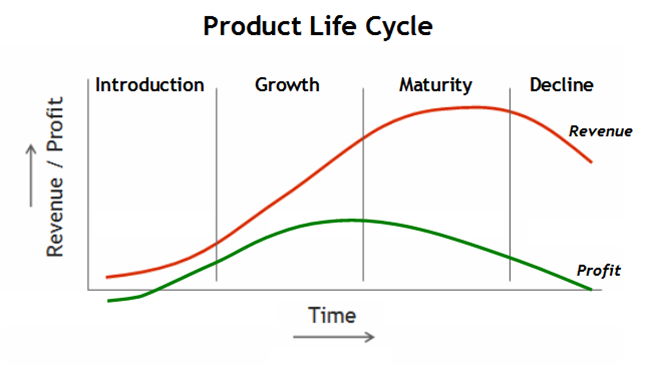 What is the ‘discovery’ process in this Bizdev cycle? Well, Intel in the appropriate circles I would imagine doesn’t need discovery – it may need outreach, but not discovery. Which means, that the relevant people in a buying situation WOULD reach out to IBM. Now, sure, the world is becoming more and more socially integrated – and ofcourse, the business that IBM in, has a core foundation of social. So, should they give a social presence to this new positioning? Certainly! And, to their credit, they’ve done so. I do think salience of IBM along with Big data, Predictive analytics and Smart is probably highest amongst all comparative business entities. They’ve also done outdoors visibility well on the “smarter planet” platform – including a massive hoarding just outside the airport in my hometown Bangalore. So, why on earth would they advertise on TV??? c) A company is going IPO – ofcourse then, the target for the ad becomes the consumer/ investing public – and given the company is B2B, the mass public may not know much about it. Interestingly, writing this side of the story nearly made me forget the early pains of proving the utility of social media – then a relatively new life form – for B2B businesses when we were running EmPower Research. Specially the fight we had on our hands when we started selling our services to the large clients of our aquirer – these were companies that largely required BPM services from our acquirer – and so, were all B2B – and when I say B2B, I even mean utility/ transport/ heavy engineering companies. At one time, we even created a two by two matrix showing how B2B companies were NOT good targets for our effort. 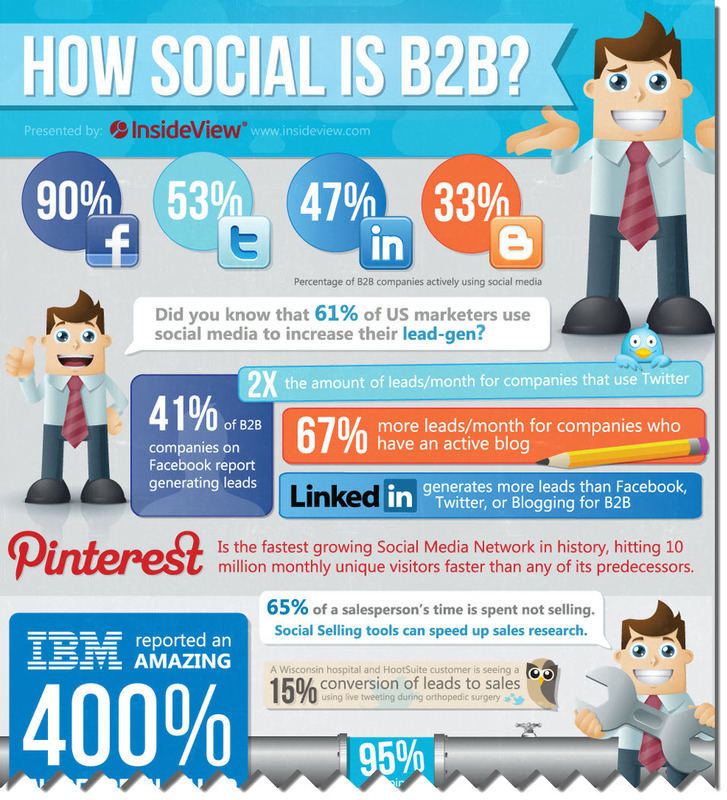 That is why, most articles online for B2B marketing currently are selling the utility of social media/ business for propagating B2B businesses 🙂 . So, in a way, we circle back towards the points IBM is making – predictions to enable cleverer decisions, more “right” decisions, etc – and all these are what social will enable – so my point – why use mass media to make this point? And why 5 years after the point has been made already, and well? Please note – I am not questioning the “Big Idea” of the Smarter Planet at all! I think, for a company that was to the larger world known as the chip/ processor company, the “Smarter Planet” was a really superb plank – it was motivational internally, focused on what was important – core research leading to ‘intelligence” – an idea probably before its time 5 years ago; was applicable across verticals or domains easily; and ofcourse was executed brilliantly by Ogilvy and Office. (read this for an eulogic analysis!) My objection is really to the use – after 5 years – of the campaign in mass media…still! 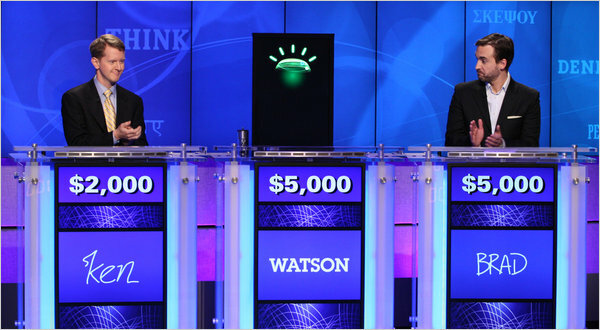 And ofcourse the Watson vs. Man @ Jeopardy idea was a gem – by all standards – PR, engagement, amplification, just stressing core brand values. So, as far as I am concerned, advertising or no, power to IBM and its like! Was reading a blog a couple days ago – this is a consultant who is rightly advising folks to never sell their services for free. As a corollary, one of the 2 newspapers we take, had a front page story on Infosys’ altered pricing strategy. (the other newspaper had a headline on how women now menopause in their 20s – you can see why I perused the Infy article with far greater interest :)). 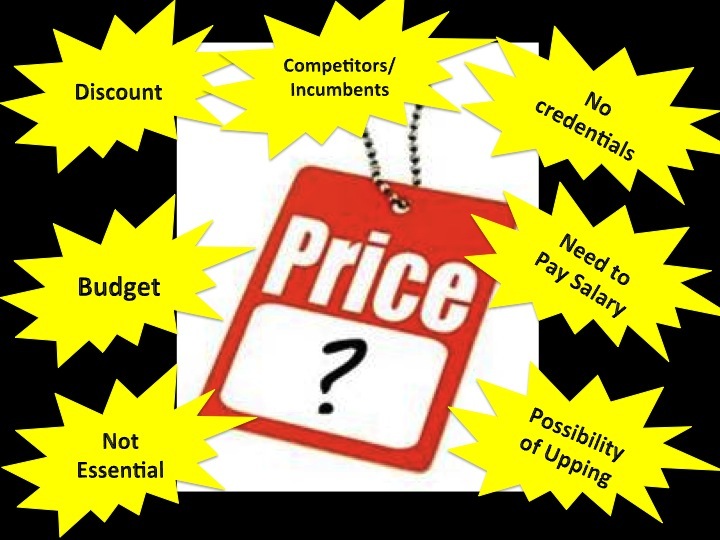 Brought me to a big dilemma we faced as a start-up – how to price/ how to get client to value your product or service enough/ can you raise price of a service one you set a benchmark to it. The issue is – when you just start off, you ofcourse want to acquire clients – this is true whether you have a product or a service. You in general either have a slightly differentiated product/ service – so yours is better/ faster/ cheaper/ does more things than before – or your product/ service is doing something that’s very revolutionary/ disruptive – i.e. no one has done it before. In the first case, the client may be more or less satisfied with their incumbent provider – and if they don’t have an incumbent provider – they have not been convinced of the need for your product/ service. In the second case, if no one has ever done this before, they again either don’t need it, or will not believe that you can do it. In all cases, the proof of the pudding to a certain extent will lie in the eating. So, you WILL need to introduce some element of promotional pricing – whether it be packaged as a beta client who is pretty much using yr product for free – but in this case atleast with attendant benefits that accrue to u; or introductory offer/ trial offer. Once your client likes your product, or service, you work next at making it more and more indispensable to her – and then I guess raise the price. This is why shampoos offer free satches/ food companies offer free tastings (I LOVE to visit supermarkets etc on weekends only because of all the yummy free food 🙂 – my kids are now as bad as I am/was!). In a related way it also why Gillette prices razors low, and blades are where they skim the cream. 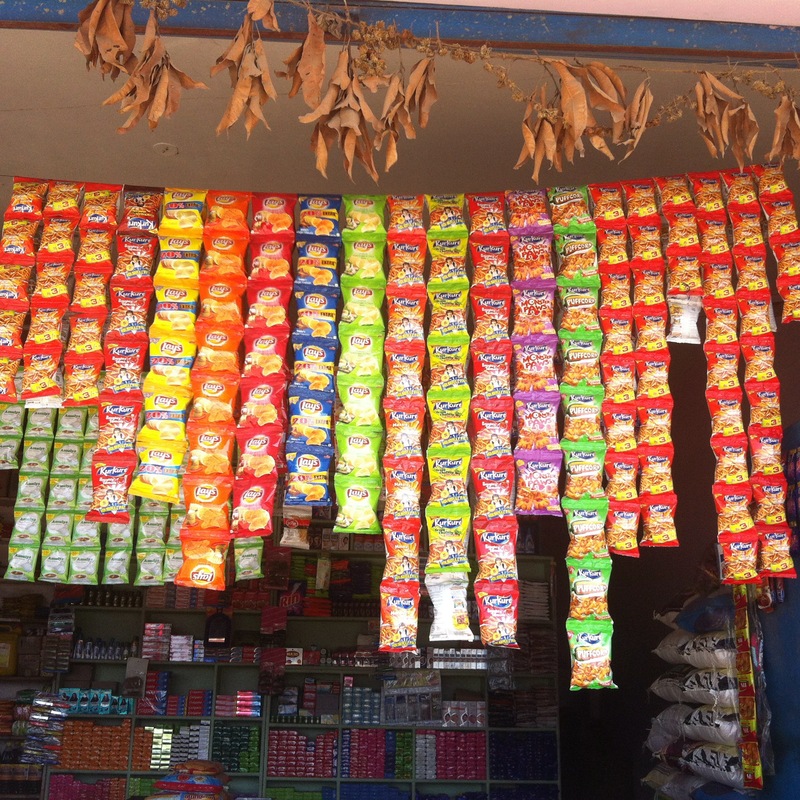 But trial/ sample has been an entry strategy for FMCG products for a long time. 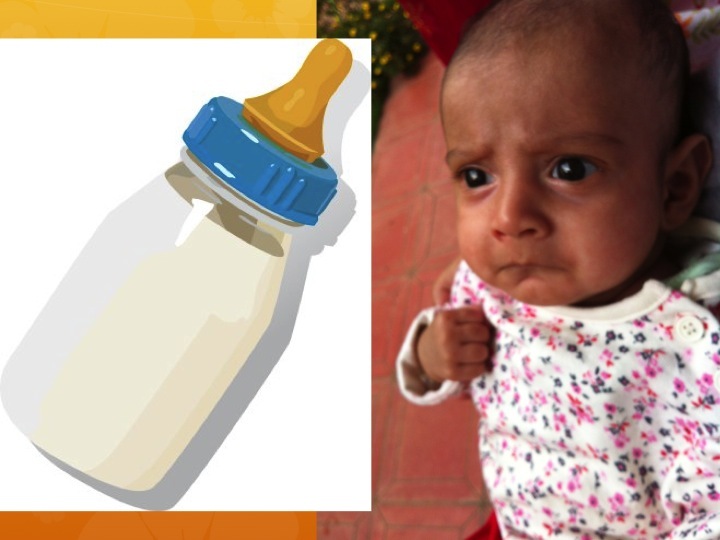 Talking of betas, when we were trying to develop an NLP engine for our Social Media platform, we contracted another start up to develop it for us – we were in a slightly “4-yr-old-is-bigger-than-1-yr-old” type of “elder brother” syndrome fashion, their beta customer. I think we got a LOT of value out of them – just as they got a LOT of thinking out of us. And yes, despite having got them (or them having got us) to a point of really good results that we felt we could use in our platform, we never ever allowed them to raise their prices on us! Talk about arm twisting! So how can you apply “sampling pricing” to B2B products/ services. We had a way around it – for our service which was ongoing – needed everyday/ every week or every month, and therefore could have annuity type engagements, we offered a 3 day/ 1 week trial – for that trial time period, we wd give our clients a taste of the service – we worked it like the full service. Our conversion rates for trials were very high – hence, our sales teams had a great weapon in their armory. Of course, the few instances it backfired on us was when the client needed that ‘essential” service ONLY for that week and took advantage of the trial – but these were fewer. The success of the conversaion also lay on the fact that the targeting and sales pitch for even the free trial had to be very careful – the client had to have “skin in the game” – they needed to invest time and energy going through our output and feeding us back – everyday. When that didn’t happen, we knew the trial wouldn’t convert into an ongoing engagement. Where this did not work however, was when the purchase was likely to be one time – so a piece of research on a specific problem say. This piece of work, once executed, would not be done again – if you gave it free, you essentially had a huge opportunity cost in not being to make money from that product/ service again. And thus here is where we had the typical start-up problem – in a bid to convince our client/ to get them to start becoming a client/ and to prove to them we could do this, we would invariably end up pricing low – way lower than the true value of the output was. (What decided true value – good question – benchmark what top of the market guy would charge for comparable output – if you have no benchmarks, get proxies. If completely unheralded category – figure out how much its worth it to the client – what is the “cost of abstinence”) Client would buy/ LOVE the results – but then in their mind set the price band at that “low” ballpark. So that future requests came at the same ballpark (hey – u guys charged me 50K lst time, how can u say this is 100K now!) And that wd be a vicious cycle – made much worse when you realized that the same client had switched jobs, and at the new company – good news – wanted you to come and bid for a project; bad news – remembered you had charged the low/ breakeven price the last time and then weren’t able to jack it up. b) Recurring service – like FMCG/ our daily reporting service, the use cycle is short/ frequent, once bought it will need to be bought again. So, you can “bait” the client (not traditional “bait and switch” usage here i might add) with examples of your work, and then withdraw the service if they don’t pay. In most of these scenarios, you have to be clear you are stating upfront that this is trial pricing for a limited time period only – maybe you even use artefacts like price cards per wish list but give stated/ obvious doscounts for stated/ obvious benefits. Reminds me of an old boss Rajeev saying (for a very different product category) – when would you advertise your price – we are talking mainstream advertising for a semi durable product – a) either when you have a really low priced product – so u want to say “lowest price/ unbelievably low price”; or, when you have a really high priced one – and the price then is part of the indicator of the value of your product – so, like a lot of the posh/ snooty real estate projects now say – “if you cant pay over a million dollars, don’t even think about looking at this villa housing project!” In either case, your price is making a statement! Having said that, when it comes to the crunch – i.e., the fight between getting revenues on yr ticker board vs getting higher commissions for higher sales (kind of like the “singles vs. sixers” problem in cricket) – it takes guts n balls to not remember the few additional salaries you will be able to pay with whatever the client is willing to give you; and really dig your heels in for the true value of your service! 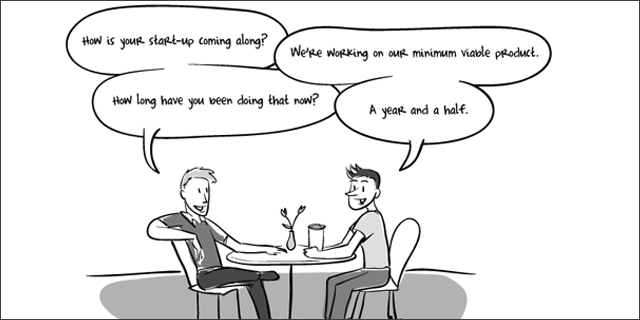 Add to this the fact that in the past 2 days I spoke to a bunch of start-ups at various stages of their life cycle, and brainstormed with them on various issues. So, that’s my inspiration – I am going to do a series of typical problems that startups face…not necessarily one after the other all the time, but certainly whenever the urge strikes me! The first one came to me when my friend – lets call him John Smith or Ram Shyam if you prefer an Indian name 🙂 – (who is developing generic but customizable mobile apps for business processes on the cloud targetted at the various domains) swung by and disclosed his angst over a very standard start-up question. Background: JS/ RS and his associates used to work at a large networking firm. They quit to follow their dream – some 6 or so months ago. They’ve been burning the proverbial midnight oil getting their app platform up. 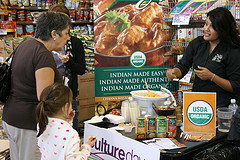 They even have a cple early customers on it – paying customers hallelujah! They are now busy figuring out the top verticals they should sell to – its a small team, and they obviously want to focus their efforts. Dilemma: Working on the boss’ request will take roughly 6 months of effort. Only some 30% of this is code they can reuse for their own platform – what they really want to do. However, it will give them an entry into the vertical of their choice. Also, saying no is tough. Not only does this effort give them some cash flow, in true start up style, they want their ex employer as one of their biggest clients (or partner – at early stage obviously they are open to all commercial angles); and they don’t want to close that door! Sounds familiar? What would your advice to them be? i. They lose 70% of 6 months of work – after all, if they wanted to build stuff for their old company, they wouldn’t have left it! I remember in EmPower – in our early days when we were sniffing all around for revenue – we would not say no to anything! We started with one division, and pretty much by chance, developed the other 2 – basically because potential clients came up to us and said – “can u do this?”. This evolution kind of walked alongside with our thinking on what the company should be – so all divisions stayed within the guard rails…conversely, when we were some 5 years old, there was immense pressure from the sales team to chase Primary Research dollars – it was an adjacency, the clients were common (Social Media research got bought by consumer insights people), it was a labor intensive service, technology made it outsourcable – but we said a steadfast NO – there were keenly fought debates, but boy, am I glad we did say no! I don’t know what JS/ RS finally did, but I have a strong feeling, like a lot of us, he WILL go ahead and build the box for his boss – and take the risk 🙂 what d’u think? 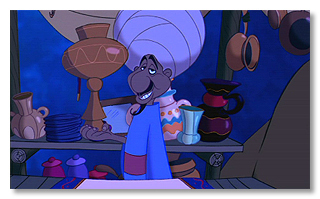 Remember the merchant in Aladin who sold the magical lamp? Glib talking stereotype! Look at my 7 year old – she is ALWAYS selling/ negotiating – at school, where she sells her desire to become a narrator in the school play rather than be in the dance group ; at home when she sells her “neeeed” for candy – ok then cola – ok then yakult (probiotic yoghurt brand) – in her after school classes where she is a regular pest but manages to get personalised attention from all the coaches! b) choose timing of request really well – ( was easier when mom was working and perpetually on telecons) – again, all “real” sales people know monday mornings are bad, friday afternoons are bad too. Tuesday to thursday mornings work well to call and set up appointments. d) keep “stuff in the pocket” – ask for more than u need so that after whittling down you’ll get what u really wanted – or close enough. Can I eat 4 candies after I drink my milk? As one of her teachers said the other day – you can love Achchu or you can hate her, but you certainly can’t ignore her! But I can’t blame Achchu – she’s figured out that life is a sea of negotiations and sales – after all, All of us are selling too – in our personal as well as professional lives. We sell our aggressiveness when negotiating for THAT book or toy with our siblings, we sell our one-upmanship when we honk at other traffic on the roads, we sell our intelligence, articulate-ness (I know that’s not a bona fide word 🙂 ) and aptitude when we go for focus groups for college admissions; we sell our abilities and attitude when we go for job interviews, we sell our worthiness as life partners when we meet potential spouses, we sell our “better judgement” to the same spouses at crucial milestones – house to buy/ baby to have/ etc etc; and ofcourse we are continuously selling our superiority as parents to our kids – all day, everyday, most of our lives! And, as a natural reaction, the world around us also starts behaving in a way that expects us to sell – I remember discussing an action point with an HR guy once and telling him that I was waiting for approval from the Senior Executive – he told me, just call him. If you want it badly enough, show it to him – unless you call, he won’t approve. While I was fairly pissed off at what I thought was high handedness, truly, I realized over many years that it wasn’t just ego that had the guy waiting for me to call – in that system, it was just another filter that indicated the strength of the need for that item (whatever it was). Really, I think that should be my next business idea – begin a string of School of Sales (if I want to be extra alliterative I can call it Sangita Specialized School of Sales – SSSoS!!! ). It is, after all a lesson that needs to start at birth and continue till post retirement.